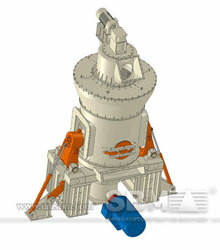 vertical mill presents a major advance in roller mills for finish grinding process. Comparing with other common roller mills, the compact LM Series vertical mills has the space-saving design, reducing the civil construction costs. Already be proven commercially, the LM Series vertical mill presents a major advance in roller mills for finish grinding process. Comparing with other common roller mills, the compact LM Series vertical mills has the space-saving design, reducing the civil construction costs. The high-efficiency, energy-saving LM Series vertical mill can simultaneously handle pulverizing, drying, sizing and air jet transport. This series vertical mill has the high grinding efficiency, meaning a 50% reduction in per-unit power consumption over ball mills. The particle size adjustments of this vertical mill are simple, with minimal noise and vibration. The working environment is also protected with measures to prevent particle escape. With years of working experience in grinding equipments research, SBM developed LV Series vertical roller mill with two types: vertical coal mill and vertical ore mill. The high performance vertical grinding machine featured with high capacity, long service time and high efficiency and is your ideal choice. "Hoping anther cooperation with SBM. -buying department, Simpson." Covering four blocks of mineral exploitation concessions over 6,344ha, the Topia silver-zinc mine is situated in the west-central Durango State of Mexico. With years of experience in grinding machine research and the advanced grinding technology, SBM developed high performance LM Series vertical mill. The remarkable feature of LM Series vertical grinding equipment is that it is one complete plant integrated with drying, mining, classifier and elevator. 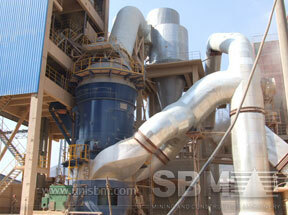 "SBM grinding equipment is really of high efficiency and has excellent performance. "